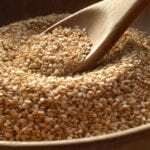 Growing sesame in the garden is an option if you live in a hot, dry climate. Sesame thrives in those conditions and tolerates drought. Sesame produces pretty flowers that attract pollinators, and you can harvest the seeds to eat or make into oil. Care is largely hands-off, but there are some occasional issues you may face with growing sesame. Sesame seed issues are not actually that common. Most modern varieties have been developed to tolerate or resist a number of pests and diseases. This doesn’t mean you won’t have to deal with any problems, however. Bacterial leaf spot. This bacterial leaf infection can attack sesame plants, forming black-edged lesions on leaves. Fusarium wilt. Fusarium wilt is caused by a soil-borne fungus. It causes wilting, yellowed leaves, and stunted growth. Verticillium wilt. Also soil-borne, the verticillium wilt fungus causes leaves to curl and yellow, then turn brown and die. Sesame root rot. While modern sesame is no longer susceptible to cotton root rot, it only has some tolerance to sesame root rot, which causes leaves to yellow and droop and roots to become soft and rotten. Insects. Sesame is susceptible to attack by green peach aphids and grasshoppers, which are the pests most likely to cause damage. 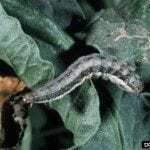 Whitefly, beet armyworm, cabbage loopers, bollworms, cutworms, and caterpillars have all been known to attack sesame plants, but they don’t cause significant damage. In general, if you give your sesame plants the right conditions and care—hot temperatures, well-drained soil, minimal moisture on leaves—diseases and pests should not be big problems. Seeing ailing sesame plants is rare. If you do see signs of disease, be careful using sprays. There are no pesticides that are labeled for sesame plants, and sesame may not tolerate fungal sprays well. It is better to prevent disease by ensuring standing water is never an issue, avoiding overhead irrigation, and using certified disease-free plants and seeds. The most common disease to affect sesame is root rot, and to prevent this simply rotate your crop, never planting sesame in the same place two years in a row. The pests that are known to attack sesame rarely do damage. It helps to have a healthy garden or yard with no pesticides. This ensures that there will be predator insects to manage pest levels. You can also remove pests by hand as you see them.